After a tie in the 2019 OSI Board of Directors election between Christine Hall, and Mariatta Wijaya, a run-off election was required. The run-off election ran from March 18th, through March 25th, 2019, resulting in a victory for Christine Hall, by a slim margin of only two votes. Christine's victory places her into the fourth open Individual Member seat, joining Hong Phuc Dang, Elana Hashman, and Carol Smith. These winners of Individual Member seats join, Pamela Chestek and Molly de Blanc, who were elected by the Affiliate Membership. Voting in OSI elections is open to all OSI Individual Members, and the (one) representative of each OSI Affiliate Member. Only Individual Members may vote in the election of Individual Member seats. Only Affiliate Member Representatives may vote in the election of Affiliate Member seats. Five Directors of the Board are appointed based on Individual Members' votes (2 year term, maximum 3 consecutive terms). Five Directors of the Board are appointed based on Affiliate Members' votes (3 year term, maximum 2 consecutive terms). One seat on the Board of Directors is dedicated to the General Manager, ex officio, with the term to last the length of employment. The OSI would like to, again, thank all our members who voted, and especially each of the candidates who steeped forward to run in the election. This year was particularly challenging, and we deeply appreciate the time and energy contributed by the candidates to engage so thoughtfully with the open source community. The OSI elections consistently lure incredible candidates from throughout the community--advocates, contributors, users, and leaders--to support the OSI's work, and advance for the OSI's mission. 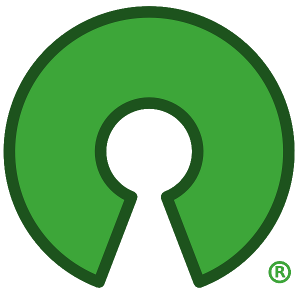 As a member driven organization, the continued participation of the open source community is vital to our ongoing work to promote and protect open source software, development, and communities. We would also like to thank our outgoing Board Directors, VM (Vicky) Brasseur, Richard Fontana, Allison Randal, and Italo Vignoli, for their contributions and commitment. We wish them all the best, and hope they will remain involved with the OSI and our work in the years ahead.